As an avid sneaker collector KITH has always been one of my first stops when visiting the big apple. Over the last few years they have very successfully expanded their namesake brand, which now also sees the launch of womenswear. 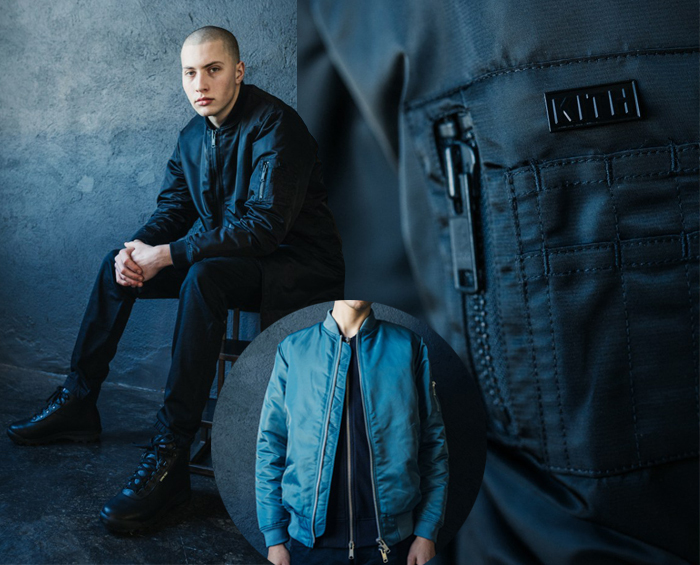 Their KITH Classics line reaches that perfect balance between a contemporary urban style and great know-how, which elevates all their pieces. I can't get enough of their frayed hoodie I bought during my last visit in September and so I am understandably excited over their upcoming Classics styles, dropping tomorrow at 11am (EST time) on the KITH website. From the entire selection of pieces three particularly stand out for me. 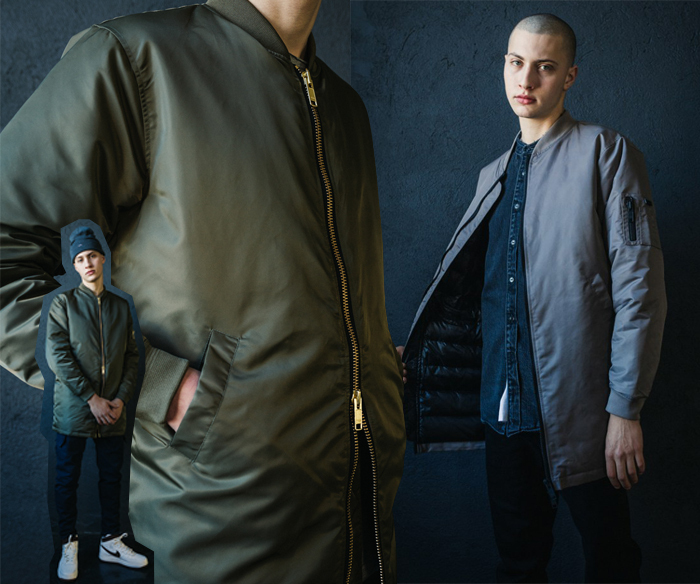 The first is the now ubiquitous bomber jacket – finding a classic style with good fit and just the right amount of detailing is not as easy as it may look. KITH's classic Astor MA 1 jacket now also includes a down lining to keep you warm. 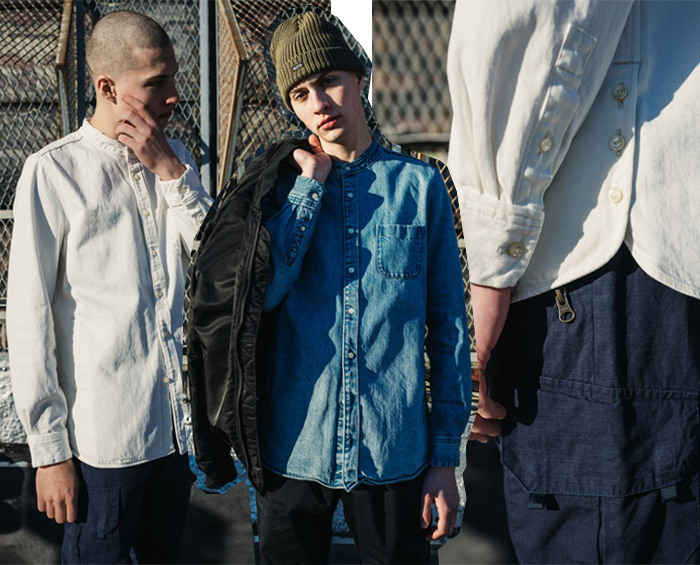 It's followed by the denim Ginza shirts, offered in stonewash, black and ivory denim and created in collaboration with Japanese brand Ones Stroke. The trick is in the details here – the mandarin collar, a slim fit and the side button detailing. And lastly my favourite the long bomber. The Although the Oliver Long Bomber isn't quite new on its own, KITH has given it a winter revamp with a quilted lining and duck down filling so that it serves as a coat. Speaking from experience, such popular pieces might fly come 11am so be ready to shop swiftly.